I’m delighted to announce the next P4P Book Club selection is Revolutionary by Alex Myers. We will be reading the book throughout the next several weeks, culminating with a book club call with the author on Sunday, April 13th at 7 pm EST. This book is the first time Politics for the People will be reading an historical novel and I think you are going to really enjoy this gem. “In 1782, during the final clashes of the Revolutionary War, one of our young nation’s most valiant and beloved soldiers was, secretly, a woman. You can purchase a copy of Revolutionary on Amazon (used start at $9.55) or you local bookstore. We will be discussing our selection in a Politics for the People conference call on Sunday, April 13, 2014. Happy reading and stay tuned for upcoming posts about the book and its author, or better yet, send me your thoughts and questions. Reminder–our book club discussion of Indispensable Enemies: The Politics of Misrule in America is tonight at 7 pm EST. The call in number for the conference call is 805 399-1200 and the access code is 767775#. Hope you will join in the conversation, bring your thoughts and questions. If you have not had the opportunity to read the book, take a look at some of our posts and please do call in. 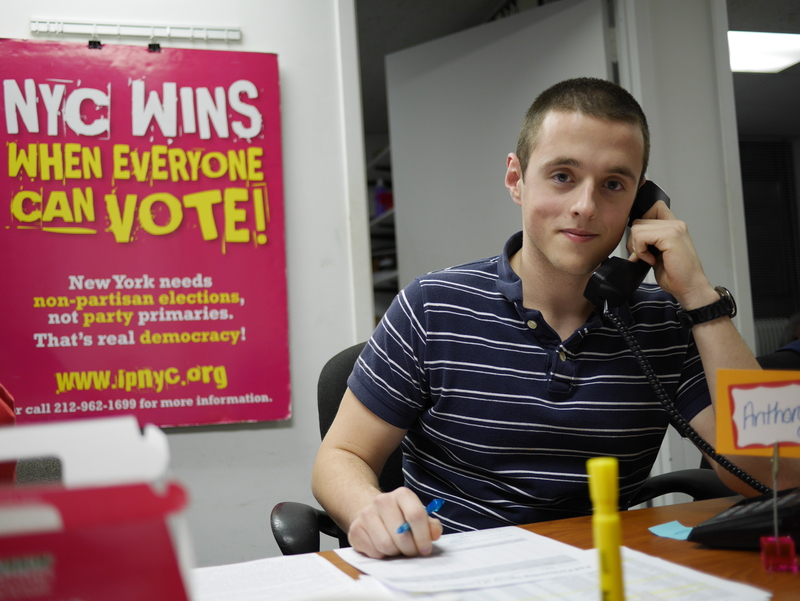 Anthony Del Signore has just started an internship with the NYC Independence Party and IndependentVoting.org. Anthony is a political science student at PACE University. He has been reading Indispensable Enemies and wrote a post looking at the last chapter of the book. 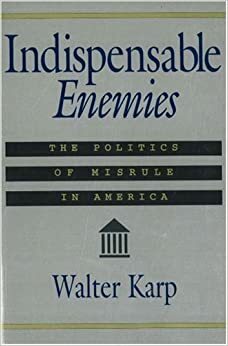 “Throughout the majority of Walter Karp’s book Indispensable Enemies, the means, structures, and powers of the two major political parties take center-stage in a scathing repudiation of the status quo. Chapter 14, “The Restoration of Self-Government,” on the other hand, takes a much different tone. This tone is hopeful that party collusion, municipal annexation, and ever-powerful party stalwarts can be revolutionarily usurped through an augmentation of liberty and self-governance. But these ideas are not novel or never heard of before. Karp takes his blueprint from our Founding Fathers, who wrote extensively on the merits of localized self-governance. To structure his chapter, Karp relies on Thomas Jefferson’s two “fundamental means” to restore self-governance. First, local self-government must be extended to every member of the Republic. Second, “republican education” (or in this sense, a sort of civic engagement experience in which each individual can think for him or herself how to secure freedom). Working in conjunction, they would stem the tide of rapid municipal annexation and bring autonomy not only to the political life of the present, but the political life of the future. “… [A] mass of citizens with no direct share in power, no local assemblies, no local political arenas, is easy for political usurpers to control” (pg. 304). This statement actually has two meanings. The phrase “political usurper” can mean the dominant party bosses of either the Democrat or Republican parties. Or it can mean a “restoration of what has been deliberately destroyed” by a thoughtful and engaged local citizenry (pg. 304). In 2014, we see both meanings in action. In ever increasing numbers, America is becoming centralized and urbanized politically. More than 50% of Americans live in cities. Now, towns are merging with others to ensure financial survival because of a shift from the industrial economy to the emerging “silicon valley” economy. This is securing party control in state elections as the electorate turns into an “urban mass” disinterested in politics. On the other hand, we are beginning to see pockets of independent, localized movements, able to come together because of the internet. The rise of the Tea Party movement, Occupy Wall Street, and many localized chapters that I am sure many of you are familiar with are only known because of the internet. Karp goes on to describe invisible “lines” that are drawn seemingly arbitrarily to separate townships from cities and stifle political action at the individual level. To combat this, every citizen should belong to a community which has relevant political power. This community should have localized authority which can speak on behalf of its citizens. Karp carefully states that this does not mean towns cannot merge for financial reasons. However, they should not merge for political ones. 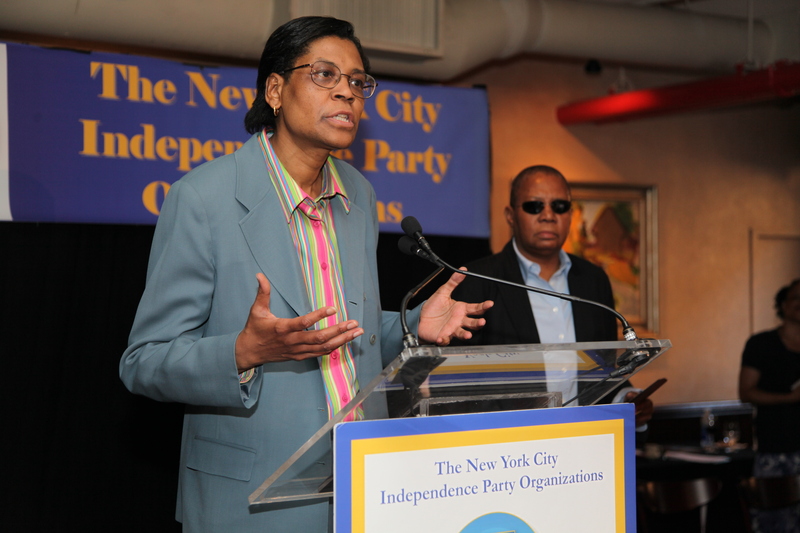 I have always been a proponent of the local community boards in New York City having actual power to influence change. A localized approach would give them that power. But, for people to become civically engaged, according to Karp, they have to be taught how to do so. This is where republican education comes into play. Republican education, at its core, is a study of political history and a dismantling of the education bureaucracy. According to Karp, this is a revolutionary change in teaching from his time or even today. For example, he equates contemporary history lessons to the obliteration of political history. In essence, Karp argues the political “oligarchs” are fastening a message which keeps students disinterested in individual thinking and ensures division so that the parties can further ensure security once these students mature. How this can be changed is through localized control of education. One can only assume that Karp would not be thrilled with such measures as New York State Regents exams and Common Core which standardize requirements for proficiency in a number of subjects for wide swaths of students. However, in conjunction with newly established ward governments, Karp believes the educational pursuits of trade would give way to a more enriching educational experience. While this may be true, the reality of 2014 is that education is still merely a “vocational training camp.” With higher education being the business that it is, this trend does not seem to be dissipating. Parents and students alike are staring at tuition bills calculating how much they need to make in salary once they or their children graduate to merely get by. Fields once thought to be bastions of security, such as law, are becoming perilous career choices. With localized education, perhaps some of these problems may be solved. However, in an ever-expanding globalized economy, is this solution even viable? Perhaps a more enriching experience can be gained on the internet where thinkers of all stripes can lay their own foundations at very inexpensive rates. Perhaps this is the future of republican education. This blog is a testament to that. I am looking forward to our conversation on Sunday at 7 pm EST. The call in number for the conference call is 805 399-1200 and the access code is 767775#. Dr. Jessie Fields took a look at Chapter One–The Foundations of Party Power. “The two parties function in symbiosis. He highlights century long statewide two party relationships in which one party dominates statewide and another controls certain urban areas with little change in the relative status of the two parties in each state despite enormous social and cultural changes in the society as a whole. His examples of how the parties respond to insurgents and independent grassroots movements seem very relevant today. 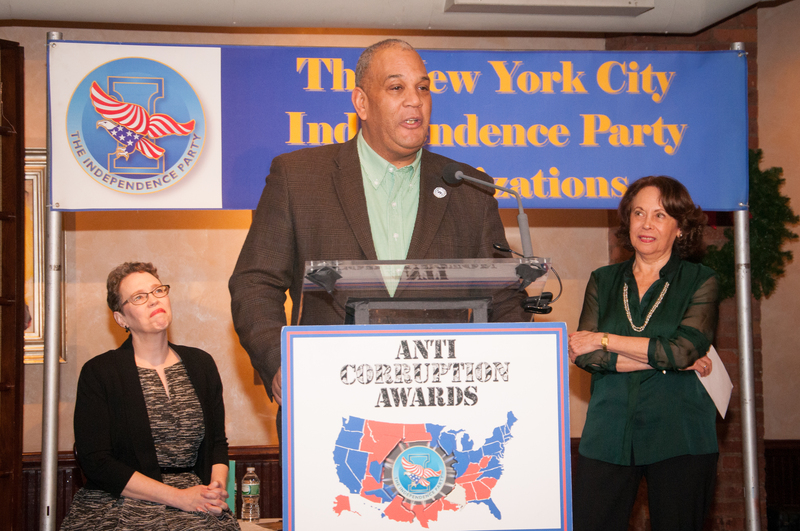 Especially here in New York City where Adolfo Carrion the former Democrat and Bronx Borough President who worked in the Obama administration and who became an independent and ran for Mayor, was shut out of the debates and almost all media coverage. Join the Indispensable Enemies Conversation on Sunday, February 9th at 7 pm EST. The call in number for our book club conference call is 805 399-1200 and the access code is 767775#. I look forward to our conversation. This last week, Michael Hardy the General Counsel and Executive Vice President of the National Action Network authored an editorial on the Huffington Post entitled “Partisanship as Usual.” In the piece, Michael outlines efforts underway to update and fix the Voting Rights Act of 1965; reports on the work of the Presidential Commission on Election Administration; and explores ways that the election process could be opened to allow greater participation. He quotes Jackie Salit, the President of IndependentVoting.org and explores the question she raises—Is out democracy for everyone? In our current selection, Indispensable Enemies, Walter Karp exposes ways our democracy is structured to be fundamentally for the parties and not the people. Posted: 01/27-2014 The word coming out of the nation’s capital is that President Obama will focus part of his upcoming State of Union address on income inequality and economic opportunity for those not included in the top 1 percent. This is, of course, good news for the struggling middle class and the working poor. However, because it is an election year, most people understand that by and large all that will really come out of Washington is the usual partisan bickering and failure to move forward on major pieces of legislation. It was a bit of a bright spot that just before the Martin L. King, Jr. holiday the U.S. House of Representatives introduced a bipartisan bill titled the Voting Rights Amendment Act of 2014. The bill is aimed at fixing the Voting Rights Act of 1965, which suffered as a result of the U.S. Supreme Court’s 2013 decision in Shelby County v. Holder. In Shelby, the Court struck down section 4 of the VRA thereby leaving the VRA’s section 5 preclearance mechanisms empty. While the bill has bipartisan support, it will nevertheless be a struggle to get it through the Congress. As the mid-term elections approach, the House of Representatives, controlled by the Republicans, will be completely focused on trying to maintain that control. Therefore, the nations’ voters will have to engage in some well-designed and coordinated activism to move the bill forward. Protecting the rights of voters and ensuring the right of every eligible voter to vote should be a continued priority for our democracy. It was in this light, that we saw a second bright spot during the past week when the Presidential Commission on Election Administration released its report. Who can forget the long lines and hassles that many voters had to endure while trying to exercise it constitutional franchise as citizens. Casting your vote and accessing your voting poll in any election should be easy. It should not take all day and voters should not have to climb hurdles and other obstacles to register to vote and locate their proper voting locations. In this regard the Presidential Commission made several findings and recommendations to improve “the American voter’s experience and promote confidence in the administration of U.S. elections.” Among those recommendations were calls for expansion of online voter registration; expansion of the period for voting before the traditional Election Day; better management of polling sites and continued improvement in voting technology. This is why many cheered last term’s Supreme Court ruling in Arizona v. Inter Tribal Council of Arizona, Inc. The Court ruled that Arizona’s evidence of citizenship requirement could not be used to prevent or declare invalid registrations through the National Voter Registration Act (NVRA) of 1993 registration forms. The Court ruled that the form required the voter to certify under penalty of perjury that he or she is, in fact, a citizen. It did not require further documented proof to validate the registration. The state is free, of course, to prosecute any voter who falsely asserts citizenship. Voting and protecting voter enfranchisement are essential to a democracy. In America, we need to continue in every way to provide unfettered the right of our citizens to participate and vote in every election and particularly in our national elections. Most voting surveys demonstrate that during the off presidential election years, mid-term elections, the actual percentage of voting age turnout hovers just under 40 percent. This is significant and the argument can be made that this level of turnout is what contributes to the partisan divide that has plagued our democracy for decades. It also makes it easier to construct barriers to the voting franchise. These are among the motivations for some, like Ohio State Representative and chair of Ohio’s Legislative Black Caucus Alicia Reece (D) to call for a state constitutional amendment — a Voters’ Bill of Rights — which would preserve a 35 day early voting period, prescribe extended hours for early voting, develop online voter registration and allow a voter to cast a provisional ballot anywhere in the correct county. It also suggests that as a nation, we not only have to better administer our elections, but open the electoral process to greater participation. This includes the call by some for non-partisan primaries. We can have well run elections, but if the process excludes a great percentage of eligible voters who cannot vote in closed primaries and therefore cannot have a voice in the candidates that appear on the general election ballot, it dampens the voters’ desire to vote in mid-term elections. Jackie Salit, author of Independents Rising and president of Independentvoting.org has argued that in order for a democracy to thrive, the opportunity for the American people to speak must be present. The people speak through their right to vote. Salit asks: Do you believe our democracy is for everyone? She believes the answer to that question should be an unequivocal yes. Clearly, if democracy means anything it must mean that every voter has the right to meaningful participation in the voting process. If we hope to have a government that is not bogged down in partisan bickering, and looks to the well-being of the nation, then perhaps the choice of general election candidates should not be solely a partisan activity. Michael A. Hardy, Esq. is General Counsel and Executive Vice-President to National Action Network (NAN). He has been involved in many of this nation’s highest profiled cases involving violations of civil or human rights. He continues to supervise National Action Network’s crisis unit and hosts a monthly free legal clinic at NAN New York City’s House of Justice.